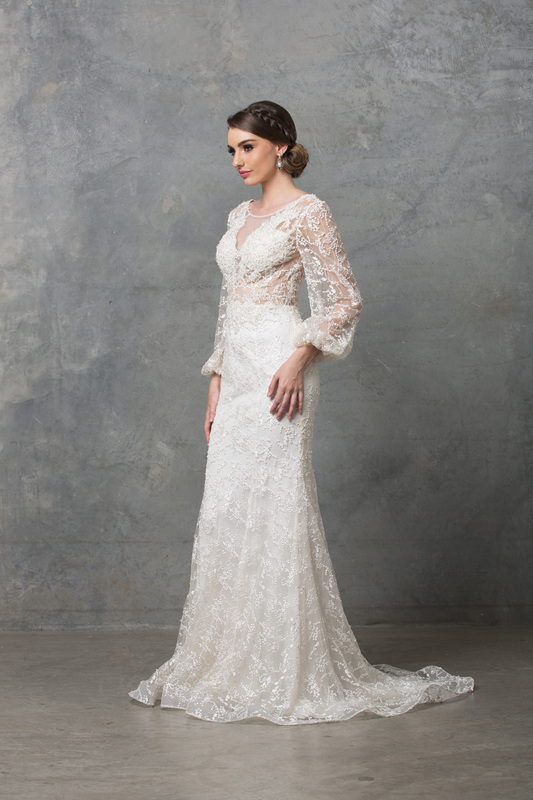 Charming and chic is the Catalina long sleeve wedding dress featuring billowing sleeves in soft embroidered lace embellished with delicate beading. 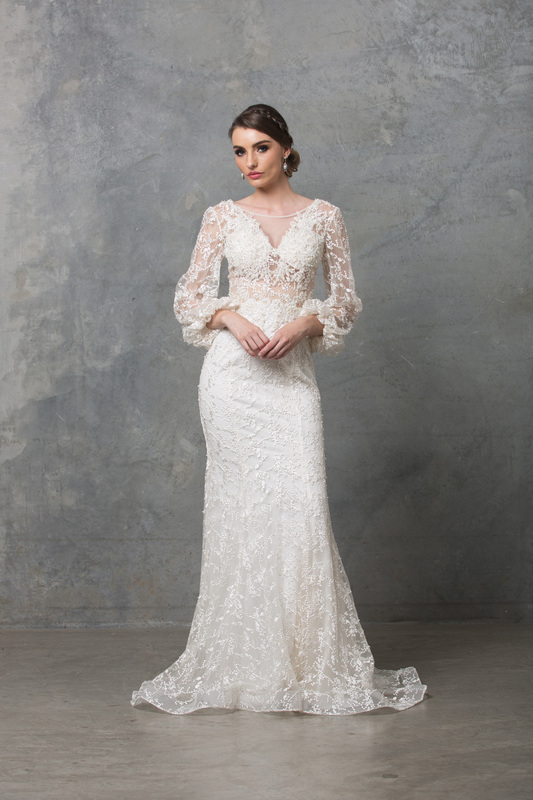 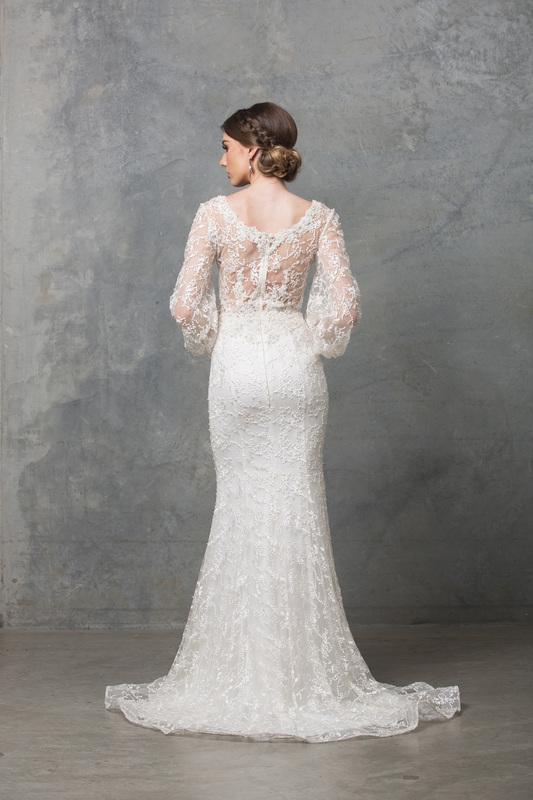 The Catalina long sleeve wedding dress has charm, featuring sheer lace bishop sleeves beaded embroidered lace bodice. 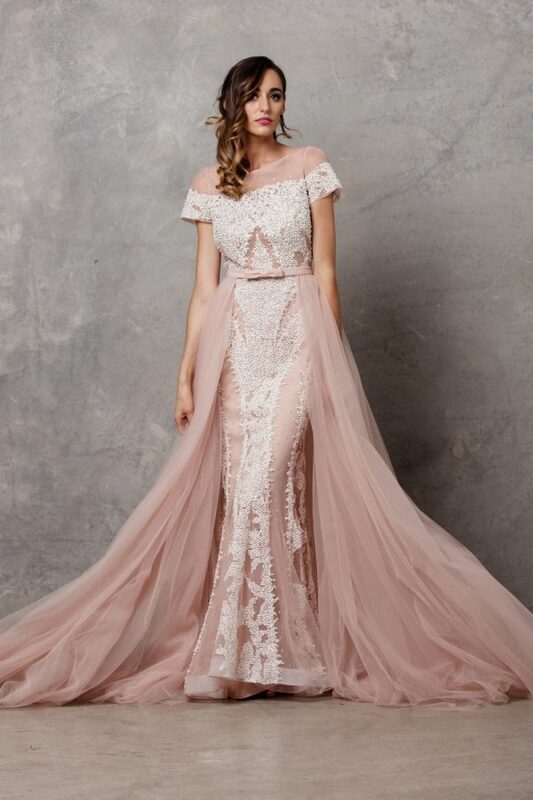 The beautiful panelled fitted skirt has a stretch lining for a comfortable wear with a double lace overlay and is encrusted with crystals and pearls.